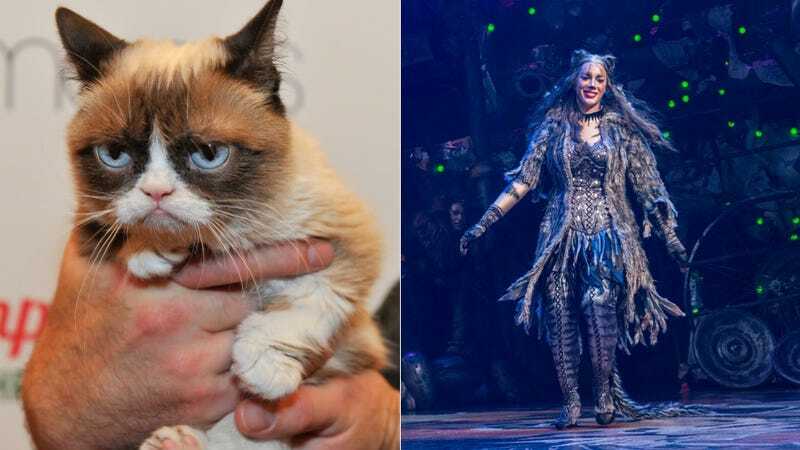 Big and important: Grumpy Cat is set to guest star in the Broadway musical revival of Cats. Not sure how Leona Lewis is taking this news. Confused? Entertainment Weekly spelled it out for dummies, writing that “although the show is about cats, it traditionally has an all-human cast, meaning the addition of a genuine cat will certainly make for an interesting show.” True. Now you have a reason to see Cats on Broadway, starring Leona Lewis as Grizabella. A spokesman for Cats confirmed that Grumpy Cat will appear at the end of the show and “become an honorary Jellicle Cat,” which is big.